Have you ever had one of those cheap windshield phone mounts that falls apart? I certainly have. In fact, I’ve had MANY over the years. It’s just hard to find one that has any real quality or durability. The Layze 2-in-1 Podium Stand Car Mount looks like an interesting exception. Forget cheap plastic. 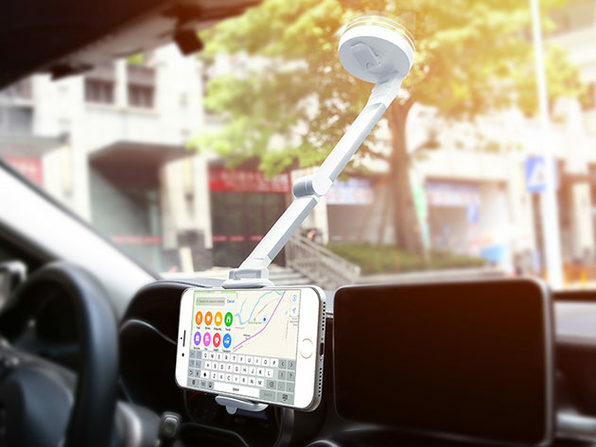 This bad boy is all ABS and aluminum, and the suction mount works on all kinds of surfaces. This stand also has three point of rotation, so you can position it pretty much anywhere you want it. The only limitation- it fits smartphones up to 5.5″. Sorry iPhone XS Max owners. Our Deals site is offering the Layze 2-in-1 Podium Stand Car Mount for $20. This is 66% off the normal retail price of $59.